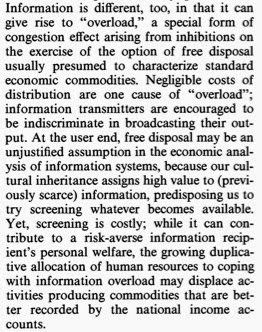 That's a pretty amazing thing to have written in 1989! (the paper was published in the May '90 American Economic Review, which has papers presented at the meeting in early January 1990). For a nice (and un-gated) summary of David's argument, see this Tim Harford piece in Slate. According to the BLS, employment rose by 142,000 in August and the unemployment rate ticked down to 6.1%. That's consistent with the picture of a continuing, but painfully slow, recovery that has predominated over the past several years, though this particular report was a little on the disappointing side. The employment figure comes from a survey of firms, while the unemployment rate is based on a survey of households, which has a smaller sample. According to the household survey, 80,000 fewer people were unemployed, but only 16,000 more were working - the difference is accounted for by 64,000 departures from the labor force (i.e., adults who are working or looking for work). Such decreases in labor force participation are not an encouraging sign. 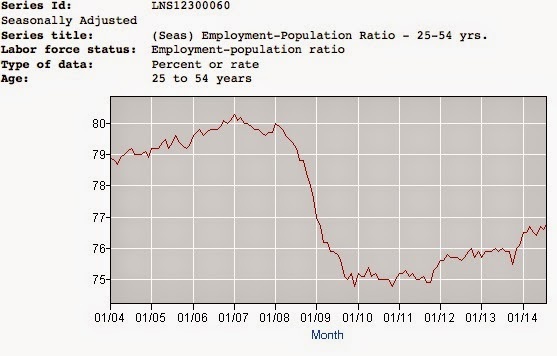 that's up from a low of 74.8% in November 2010, but still well below pre-recession levels. 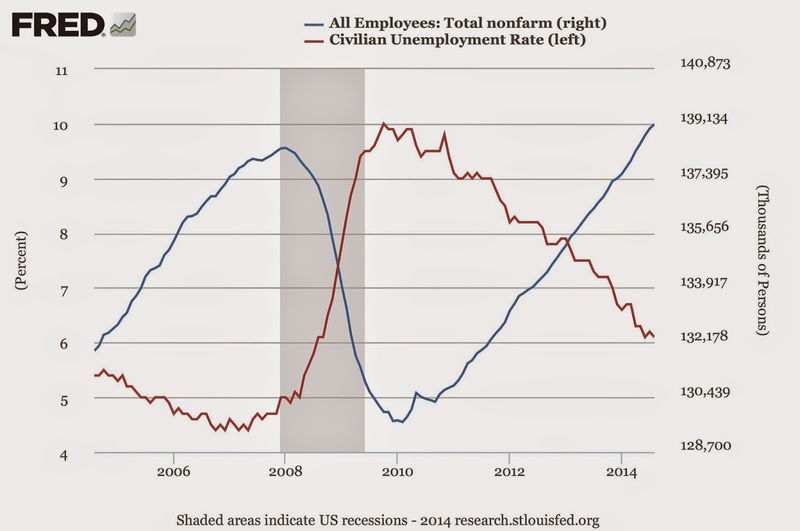 Employment is continuing to crawl out of the hole we dug in 2008-09, but we're less than halfway there. Any talk of returning to "normal" monetary policy seems a premature to me - things may be getting slightly better, but the situation is still quite bad.